Modestas KUMPYS | Assist Sport Agency. Agencia, manager representación deportistas, jugadores baloncesto. A top level athlete with spectacular leaping ability and body control. Excellent rebounder for his size. Excels in transition, pick-n-roll and one-on-one. Streaky outside shooter who significantly improved his consistency in the second part of the season, becoming force from perimeter (4/7 3PTs in victories both against BK Ventspils and Valmiera). Spent 3 months as an injury replacement to Eniel Polynice in French ProB (St.Quentin), but was mainly used as a defensive player. 2016-2017: Saint-Quentin Basket-Ball (France-ProB): 11 games: 5.6ppg; 10.9ppg, 2.3rpg, 1.2spg, 2FGP: 62.5%, 3FGP: 20.6%, FT: 68.8%; in Mar. 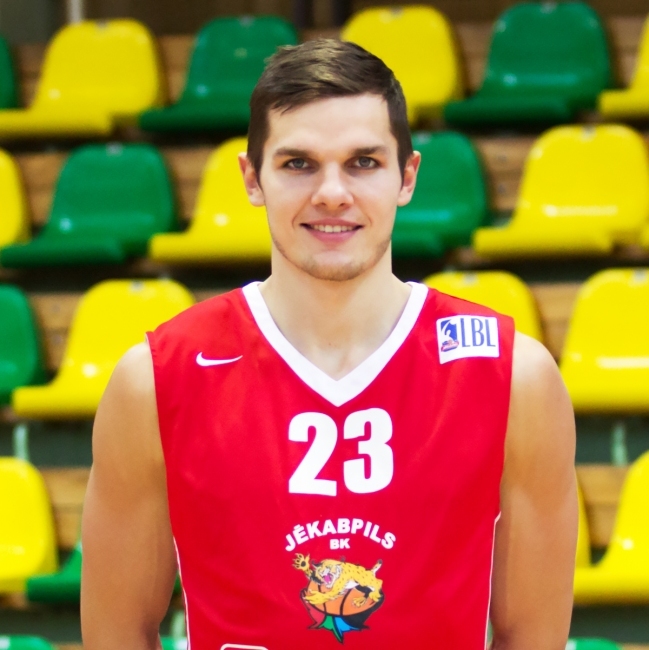 '17 moved to BK Jekabpils (LBL-Latvia): 12 games: 23min, 11ppg, 5.4rpg, 1.7apg, 2PT: 43%, 3PT: 36%, FT: 71%.